As previous blogs have noted, plants are an important foundation for life on Earth. 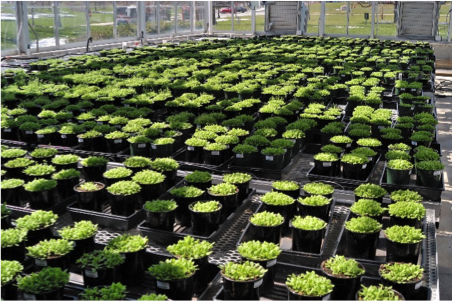 Selective breeding methods have shaped the plants that we grow and eat, and genetic engineering will continue to improve plant nutrition, yield, and pest resistance. Much of plant genetic engineering revolves around Agrobacterium tumifaciens. 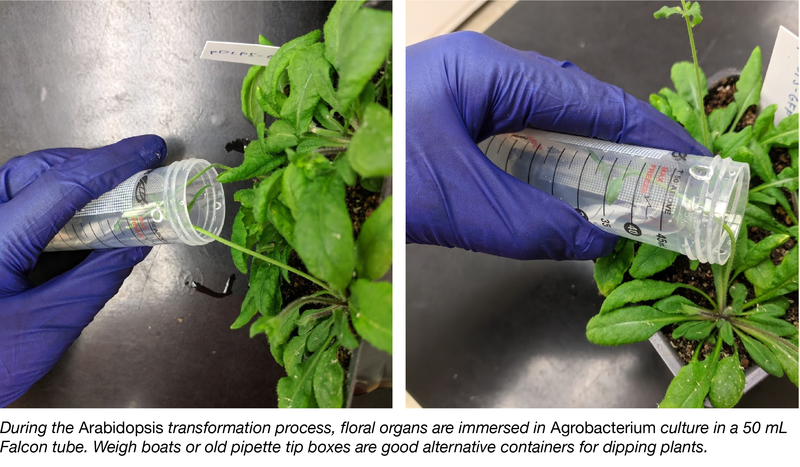 Agrobacterium carries a “tumor-inducing” or Ti plasmid, which allows it to transfer genetic material into the host plant genome. Scientists have worked to optimize this system for gene transfer, studying the stability of modified Ti plasmids during plant infection, as well as plasmid yield during preparation in E. coli. 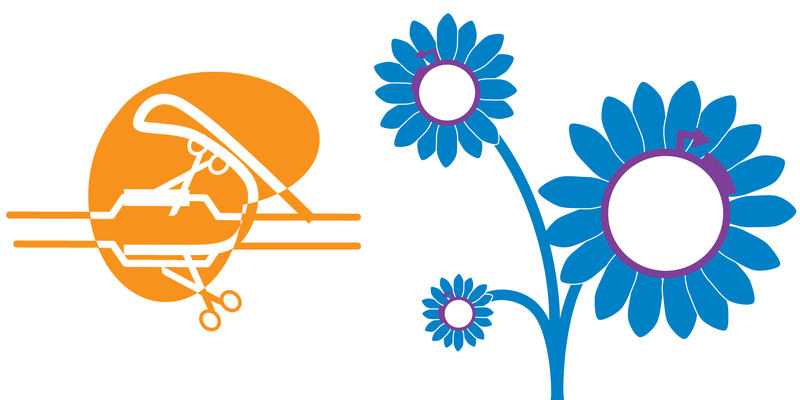 Addgene depositor Indu Maiti has created a new and versatile binary Ti vector for both transient and stable gene expression applications in plants. 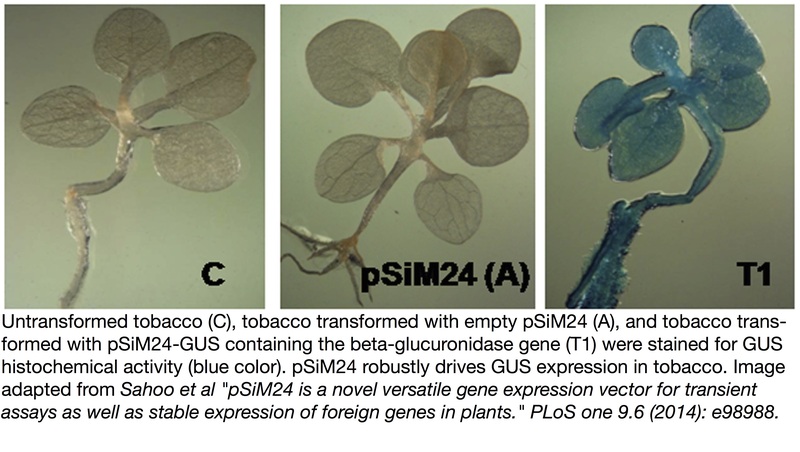 This smaller, easily customizable vector functions in multiple species, including tobacco and Arabidopsis. This post was contributed by Nikolai Braun and Keira Havens, co-founders of Revolution Bioengineering. Read their previous blog post about how they started their company here. The first transgenic plant was engineered over 30 years ago, but plant synthetic biology is still in its infancy. A long timeline from transformation to testing and a lack of well-characterized genetic tools make it challenging to engineer a specific function in these multicellular organisms. However, the rewards are great if you take the plunge – plants are the foundation of life on earth, and opportunities abound to build better fuels, feeds, foods, and fibers. And because working with plants can be challenging, there are a lot of unexplored areas in plant biotechnology that are ripe with opportunity. 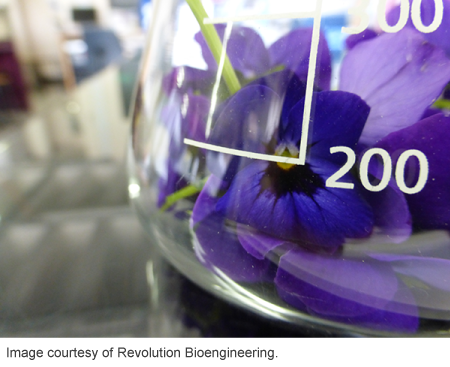 We’ve decided to jump into one of those unexplored areas with our color-changing flower, but to do that we’ve had to navigate the challenges involved in plant synthetic biology.